UPDATE: The group behind the election says a Supreme Court injunction has no bearing on plans to hold a Native Hawaii governance convention. Take Civil Beat's Twitter poll on the convention below. In a move designed to circumvent a pending federal court challenge to elections for a Native Hawaiian governance convention, leaders of the group organizing the vote announced Tuesday morning that the election has been terminated, but all 196 delegate candidates have been invited to be seated for the convention. Dueling Lawsuits: Did Nai Aupuni Allow Too Few Voters? Too Many? 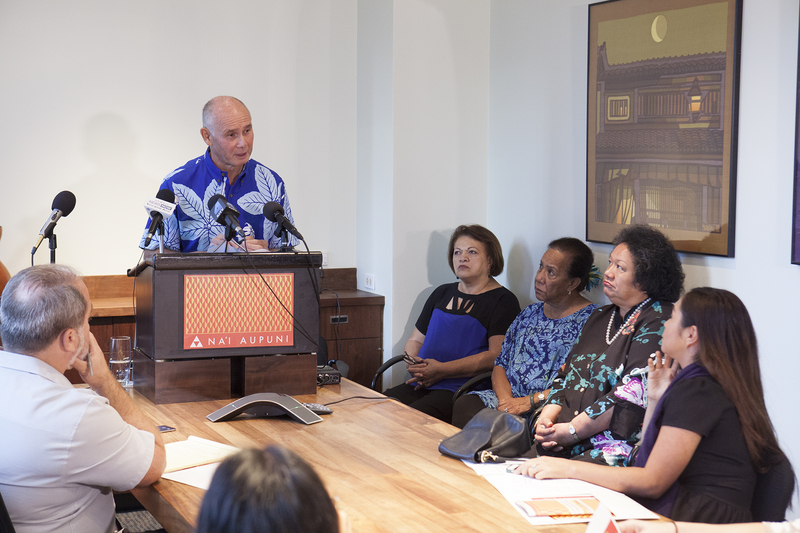 Board members and legal counsel for Nai Aupuni, the non-profit group formed to create an election process and plans for the convention or aha, said candidates were notified Tuesday morning and have until Dec. 22 to confirm whether they’ll take part. The four-week aha will begin in February and will be held in Kailua with assistance from facilitators from the Mediation Center of the Pacific. The key differences between the aha as originally planned and what will go forward now is that nearly five times the number of delegates are now invited to take part, and the aha is scheduled to last four weeks rather than eight. Nai Aupuni President Kuhio Asam, flanked by fellow board members, announces the group’s decision to terminate its troubled process to elect delegates for a Native Hawaiian governance convention. “Hawaiians have an inherent right to self determination,” declared Nai Aupuni President Kuhio Asam in making the announcement, which was kept a tightly held secret until Tuesday, even from the Office of Hawaiian Affairs, which allocated ceded lands monies to fund Nai Aupuni and the election. “From the start, Nai Aupuni has had as its goal to create a path so that Hawaiians may formally engage in a much-needed discussion about self determination and our future,” Asam said. “We anticipated that this path would have twists and turns and some significant obstacles. But we are committed to proceeding to the aha, where this long overdue conversation can take place. Nai Aupuni announced its elections plans earlier this year, having assembled a roll of about 95,000 Native Hawaiians registered to vote in its process. But the Honolulu-based Grassroot Institute challenged the election on 15th Amendment grounds, arguing that it violates the ban on federal and state governments from using race, color or “previous condition of servitude” to deny a citizen the right to vote. Should the Native Hawaiian governance convention, or aha, go forward in February w/ all 196 delegate candidates? U.S. District Court Judge Michael Seabright ruled in favor of Nai Aupuni, calling the process a “private election” not bound by the 15th Amendment. The 9th U.S. Circuit Court of Appeals refused to grant an emergency stay, but U.S. Supreme Court Justice Anthony Kennedy granted that request the day after Thanksgiving. On Dec. 2, the full court granted an injunction, indefinitely blocking the counting of ballots and certification of the election until the 9th Circuit ruled on Grassroot’s appeal of the district court ruling. But legal observers said the high court’s action was a strong indication that justices felt the challenge to the election would prevail. Nai Aupuni legal counsel William Meheula said that because the elections have been terminated, the 9th Circuit challenge is now moot and he’ll file a motion to dismiss the case. “Changing their rules multiple times further erodes the credibility Nai Aupuni has with the Hawaiian people,” added Akina. “The clear message of this action by Nai Aupuni is to establish federal recognition at any cost, even if it requires violating previously settled terms and conditions of the process, ‘stacking’ the convention with their own representatives and completely ignoring the 15th Amendment and the Voting Rights (Act), which would still be violated, and the procedural due process and substantive due process clause of the 14th Amendment,” wrote Chang in an e-mail to Civil Beat. But Nai Aupuni legal counsel William Meheula said that because the elections have been terminated, the 9th Circuit challenge is now moot and he’ll file a motion to dismiss the case. Both he and Asam said that Election America, the company conducting the actual election, has been instructed to seal the ballots already cast, stop the receipt of further ballots and prevent any ballots from being counted. State Rep. Kaniela Ing, who also was a delegate candidate, said so much has changed about the aha, he hasn’t yet determined whether he plans to take part. Nai Aupuni organizers, for instance, promised that once elected, delegates could determine when the aha would take place — a possibility that now seems off the table. He’ll be in legislative session when the convention convenes. 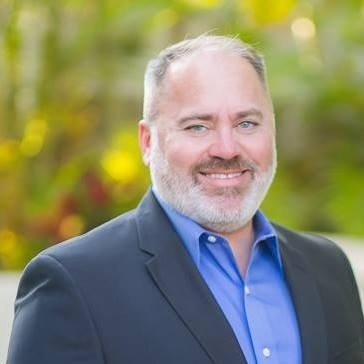 “I’m confident I could work something out — many legislators have full-time jobs — but not if it’s going to affect my service to the people of South Maui,” he said. Ing also has concerns about the expense associated with the aha. Delegates were always intended to receive stipends. But with now as many as 196 being paid, even at what organizers said would be a reduced rate, and Nai Aupuni also having to cover air fare for more delegates traveling in from the mainland, “will the outcomes be worth that much money,” he asked. “I’m going to talk to other possible delegates and try to figure out what the point is now, what the potential outcome is,” he said. Ing said his concerns come from a different perspective than those of the Grassroot Institute. But one of the group’s attorneys, former Hawaii Attorney General Michael A. Lilly, also voiced financial concerns. “Everything about the unconstitutional race-based Nai Aupuni election has been a complete waste,” said Lilly in a written statement. “The state spent $4 million creating a native Hawaiian Roll, which will never be used. Then the state wasted an additional $2.5 million on the election that will never happen. …There has been no oversight of the process to ensure its fairness and credibility. The Campaign Spending Commission has no jurisdiction to ensure the election was fair and free of fraud. Meheula said one factor figuring in to the Nai Aupuni decision was the possibility that it might not only lose on 15th Amendment grounds, but 14th Amendment grounds, as well. A decision on that constitutional equal protection clause could have had wide-ranging, disruptive consequences for a range of government initiatives serving Native Hawaiians. Going forward, Nai Aupuni leaders will continue to meet, monitor aha plans and see how the group can best be supportive of the self-determination conversation. 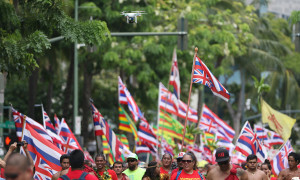 But beyond that, the governance conversations will be the sole province of the convention delegates, who represent a broad range of Native Hawaiian viewpoints and political beliefs. “One reason we made this move is who makes these determinations? We thought this group is a better group to make those decisions than we are,” said Meheula.